The guys over at MovieLoft reached out to us to print up some rewards for their successfully funded Kickstarter campaign. The campaign funded their private screening loft in Richmond. 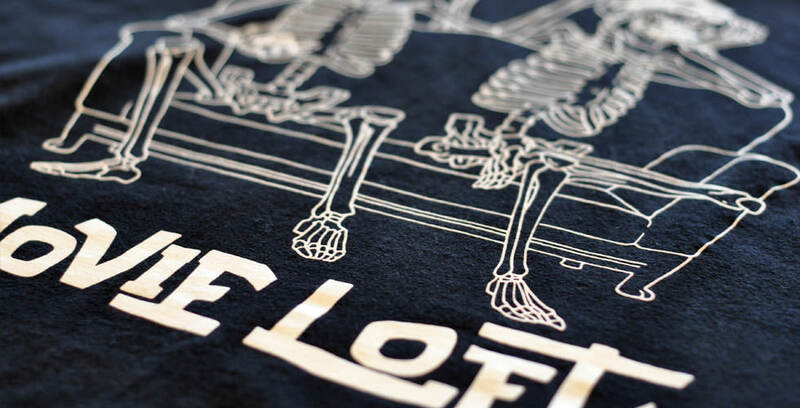 To keep with the ‘lights off’ movie theatre feel… we opted for glow-in-the-dark ink on black tees and koozies. 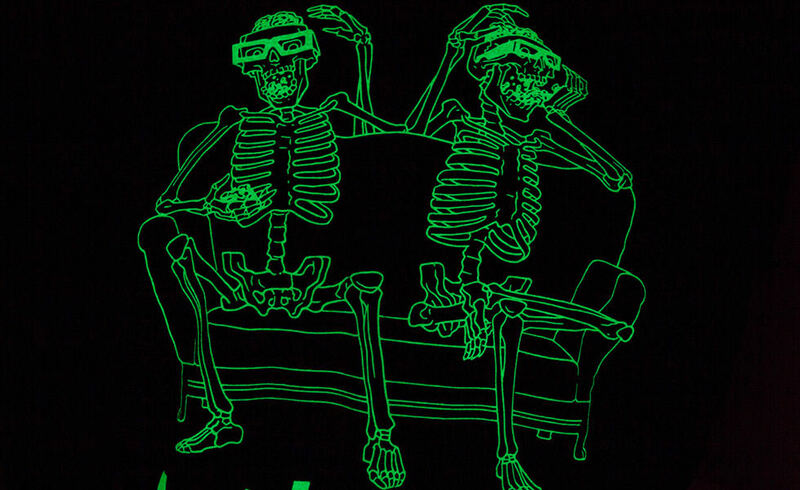 For daytime viewing we printed the art in white. 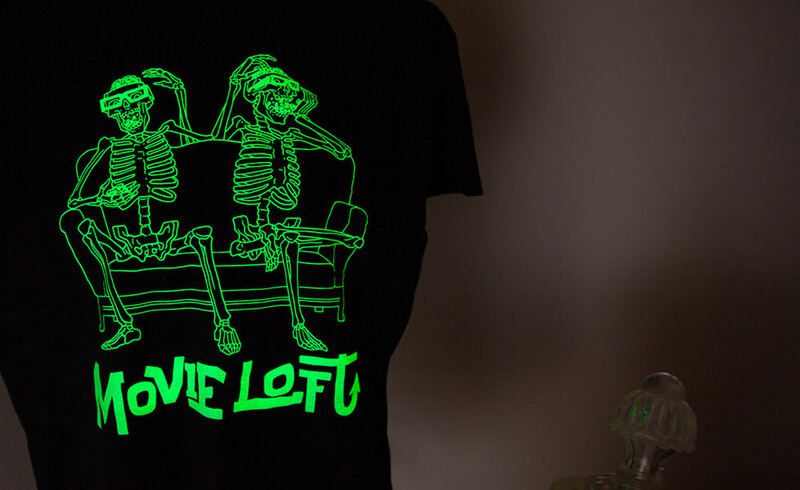 We printed over the white with glow-in-the-dark to really make it glow at night.